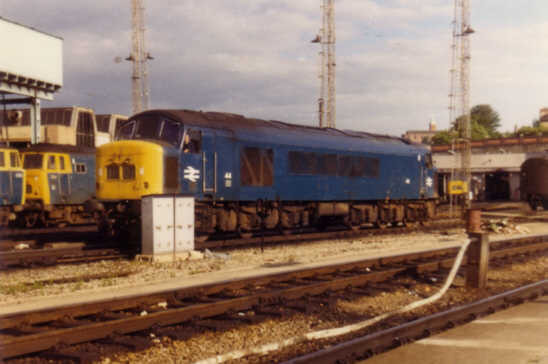 The Class 45 locos such as 45022 seen here at Bristol Temple Meads were always a part of the Bristol scene in early diesel days despite being a Midland Region type some were allocated to Bristol for working services via the Midland route to Birmingham and beyond. 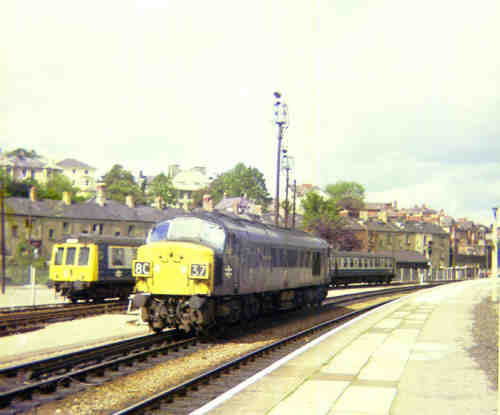 In later years Bristol Bath Road and Plymouth Laira depots on the WR had an allocation of the outwardly identical Class 46. 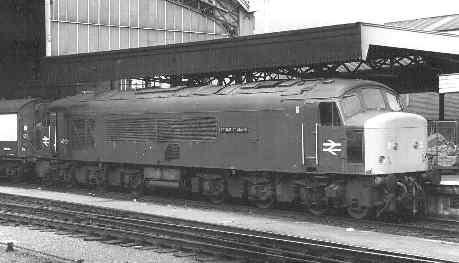 Photo by John Griffiths..
Another 45 is D70, seen here at Newport. 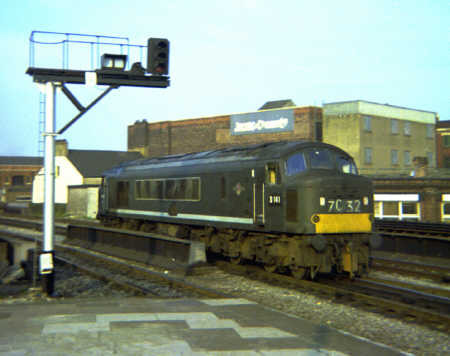 A Class 46 this time, D141 still in green livery running light through Cardiff. 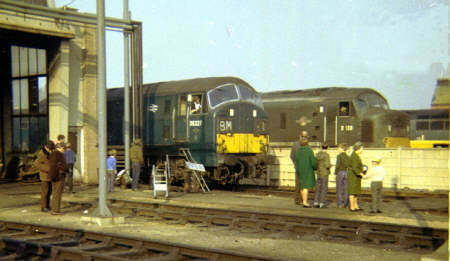 The first Class 46, D138, is seen at Bristol Bath Road in company with D6327. 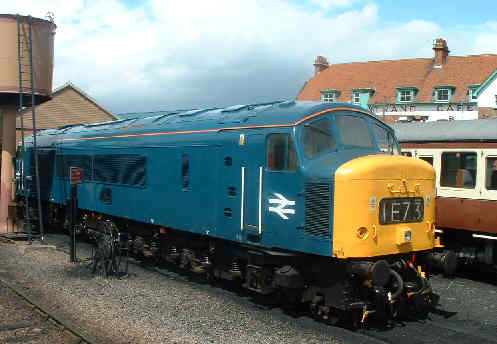 Into the preservation era, 46035 is seen at Minehead on the West Somerset Railway when it visited for their Cross Country Weekend in 2003.